The St. Bonaventure University Online Master of Arts in Strategic Leadership degree is perfect for former and current military personnel seeking to build upon the skills they gained while in service to our country. The MSL can be the catalyst to you reaching your leadership potential. The program can help you transition your military skills to the boardroom. Our program focuses on the strategic decision-making, thought leadership and communication skills that define today’s transformative leaders and executives. A Master’s in Strategic Leadership degree says that you are serious about leadership and your career. Graduates leave with a Leadership Portfolio allowing them to show current or future employers the knowledge they have gained. The portfolio includes projects and activities they have completed that demonstrates their professional development. An MSL also improves your chances of seizing opportunities as they present themselves. Successful graduates leave with improved leadership skills and a graduate degree. All of this can add up to career advancement, career satisfaction, and improved financial well-being. The MSL is a tangible credential that stands out among your qualifications. 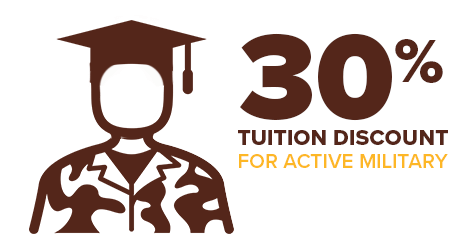 St. Bonaventure prides itself on being a military-friendly school. SBU’s core values of discovery, community, and individual worth align with the core values of the military. 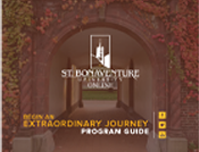 With an online master’s degree from St. Bonaventure you can focus on and hone the skills gained through your service and enhance it with the experience and expertise an MSL degree provides. "If you really want to deeply understand leadership and its implications on organizational growth or failure then the MSL program will provide you with a firm foundation of skills necessary to drive your organization to new heights."